Gaming is one of the most popular categories in all of crowdfunding. The Games section on Kickstarter is frequently the most active and exciting part of the world's largest crowdfunding site. In fact, 3 of the largest crowdfunding projects ever are in gaming. Gaming works really well for crowdfunding because crowdfunding is itself a type of game. In rewards-based crowdfunding, donors are given really engaging incentives to donate. The more you give, the better the reward. Gamers enjoy backing crowdfunding projects because they feel they're really part of the creation of the next big hit. 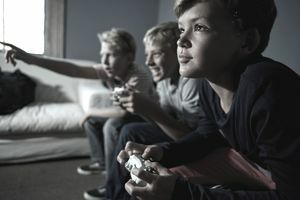 Gaming projects can leverage the audience of fans they attract to eventually purchase and support their games post-funding. Crowdfunding for games isn't easy but game devs like the guys behind the Star Citizen project (raised $60 million) have raised millions through this mechanism. Kickstarter and Indiegogo: Kickstarter is the largest of all rewards crowdfunding sites and a general platform to raise money for all types of projects. The Games section on Kickstarter is frequently the most active and exciting part of the world's largest crowdfunding site and provides a great environment to raise money for the next best and greatest game. In fact, the game, Star Citizen, which holds the record for most amount of money raised via crowdfunding for any type of project ($60 million), cut its crowdfunding teeth on Kickstarter (it now crowdfunds directly from its own site). General crowdfunding site, Indiegogo, also attracts a lot of attention for the gaming projects on the platform. Fig: If gaming requires its own nuance form of crowdfunding, then Fig may very well be it. The new site recently launched and announced it received funding from serious investors like Spark Capital. In addition to plain vanilla crowdfunding, the site allows accredited investors to equity crowdfund, essentially investing in a game title in return for a share of the game's profits. Gambitious: Gambitious is a crowdfunding site dedicated to the gaming community. Beyond just general rewards for contributing to a crowdfunding campaign, project backers can actually get a piece of the revenues of the projects they support. This model allows developers to fairly compensate the people who supported their project from day-one, by allowing them to also financially benefit from the game’s success. Developers and Gambitious coordinate together to determine the exact percentage of revenue which will be shared with supporters beforehand, and this rate is always considered on a per-project-basis. Ulele: Ulele is one of the first European crowdfunding sites and as it turns out, does a lot of crowdfunding for gaming projects. Since its launch on October 2010, 6216 creative, innovative, or community-minded projects, have been financed on Ulele (many of them gaming) thanks to users from 135 countries. Crowdfunding opens an entirely new channel for game devs to raise money for their projects. It's not a magical pill -- crowdfunding still requires work, forethought, and good marketing skills. But the benefits of crowdfunding for gaming is two-fold: 1) you can scale your fundraising efforts internationally overnight and 2) your donors and backers are also your earliest customers who have skin in the game supporting your success.